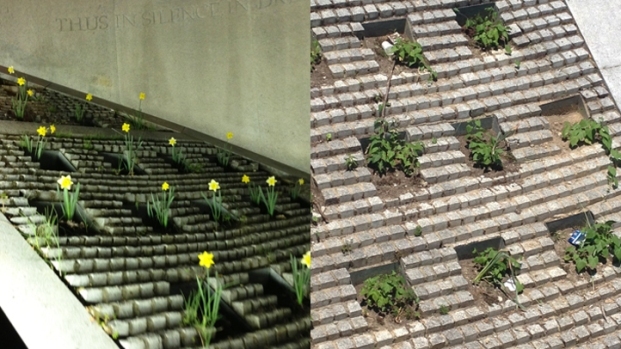 You may remember the flowers that mysteriously showed up -- two years running -- at the Dupont Circle Metro station. The man who planted those flowers, known as "the phantom planter," is striking back at Metro for removing them last year. 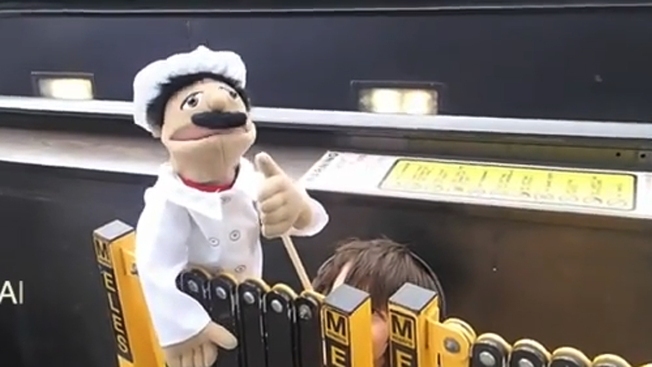 Oh, and he's striking back in video form. With puppets. And a cello. And steel dreams. And chalk outlines. 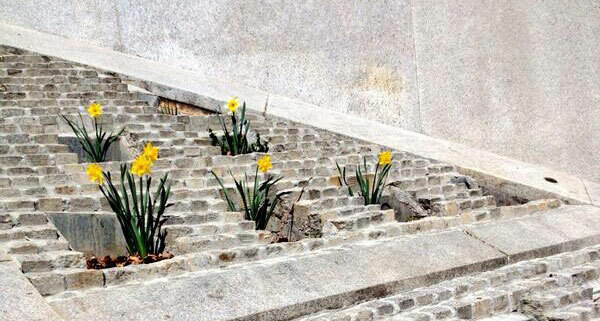 The phantom planter, Henry Docter, planted about 1,000 bulbs on the terraces along the long incline at the north entrance of the Metro station during the fall of 2012. Metro removed the flowers last spring shortly after they bloomed, citing safety concerns about the way Docter was gaining access to the station after-hours (rappelling was involved). "It's a safety issue, and it's a liability issue. So, while we appreciate Mr. Docter's obvious passion for flowers, our passion for safety is stronger," Metro spokesperson Dan Stessel told News4 last spring. A northwest D.C. resident wants to continue caring for flowers he planted at the Dupont Circle Metro Station, but Metro has safety concerns. News4 transportation reporter Adam Tuss has details and reaction from Metro riders. But it didn't end there. Dozens of flowers came up again this spring, blooming from bulbs Docter had planted two autumns previously. And on Sunday night, Docter put up a giant video screen across the street from the Dupont Circle station, debuting a video that featured contributors singing a slightly tweaked version of the Peter, Paul and Mary song "Where Have All the Flowers Gone?" At appropriate points, a singer chimes in, "Metro killed them, everyone." He got permission from the National Park Service to put up the video screen.